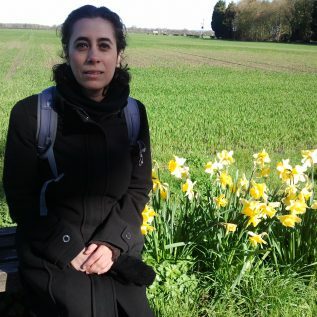 Joana Beja, working at BODC, is the BODC programme data manager. Since joining BODC, Jo has managed polar data through her BAS liaison role, which involves not only the actual management of BAS generated oceanographic data, but also developing a coordinated approach with the BAS Polar Data Centre to avoiding duplication of work and implement procedures and tools to strengthen this collaboration. In the more recent years, she was the oceanographic data manager for the CAO precursor, the Arctic Research Programme. When at sea Jo takes the role of on-board data manager, which involves not only making sure all the metadata is appropriately recorded and securely stored, but also providing support to the different scientists, be it in metadata collection, or assisting with the actual data collection. She is the first point of contact for data management and data enquiries associated with the CAO Programme. In her role as CAO data manager, Jo participates on several CAO cruises.